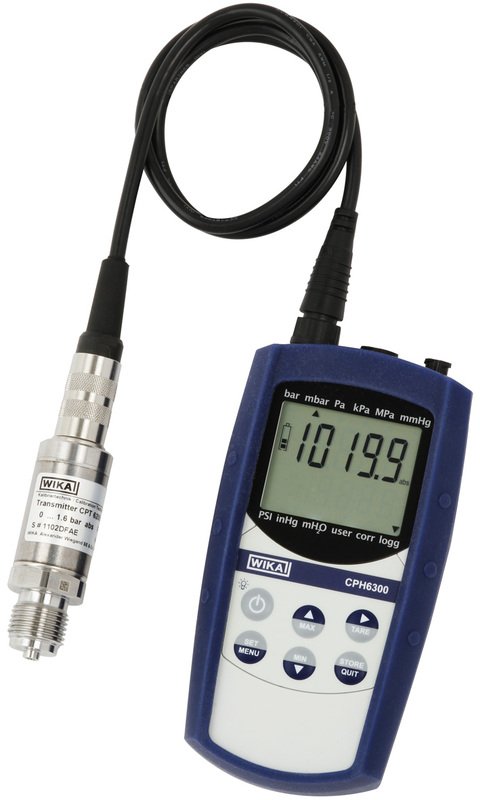 Specifically for pressure measurement and calibration tasks in harsh environments, WIKA has launched the new model CPH6300 hand-held. The instrument, designed for a measuring range of up to 1,000 bar, features a high accuracy of up to 0.1% of span, even under the most adverse conditions. A robust and waterproof case with an ingress protection of IP 65 and IP 67 protects the hand-held from outside influences on "tough operations". 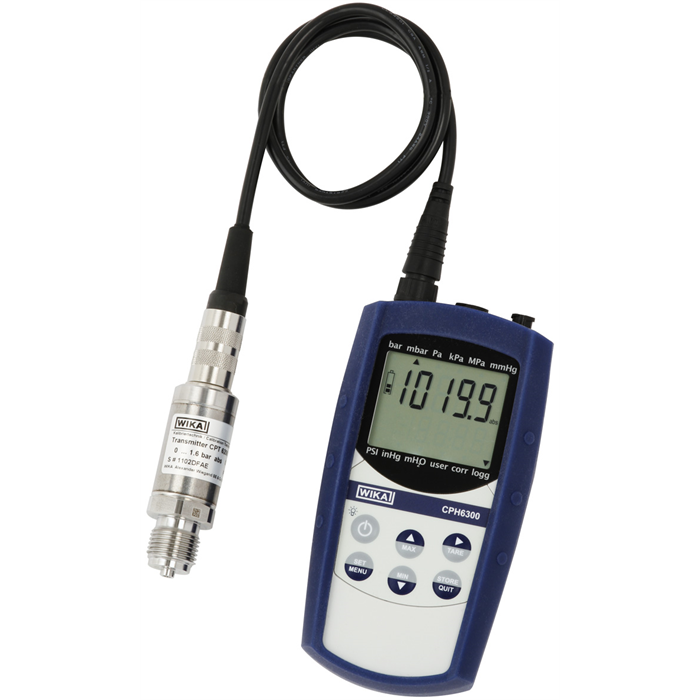 Operating with a very fast measuring rate of 1,000 measurements per second, the CPH6300 is very well suited to the measurement of pressure peaks. A large 4 ½ digit backlit display enables the measured values to be easily read. Ease-of-use is ensured via a few function buttons. A data logger is integrated into the instrument, which can record up to 10,000 readings. 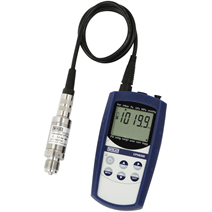 A function to perform leak tests completes the CPH6300's features. The CPH6300 is an evolution of the proven CPH6200, whose reference pressure sensors are compatible with the new model without readjustment. The CPH6300 is also available in a single- or dual-channel version.